For over 25 years, Dan Veto’s pioneering research and consulting have influenced leading organizations across diverse industries, as well as countless retirement professionals and their clients. His work illuminates the exciting promise and critical new financial and lifestyle responsibilities associated with longevity and the new retirement. Over the past decade, Dan has been instrumental in developing and implementing Age Wave’s innovative, research-based professional and consumer learning programs. He specializes in educating financial advisors, clients, and other constituent groups on the unique priorities, needs, and challenges of longevity. Dan is a highly sought-after keynote speaker on the changing nature of life after 50, particularly regarding the boomer generation’s unprecedented relationship to retirement. 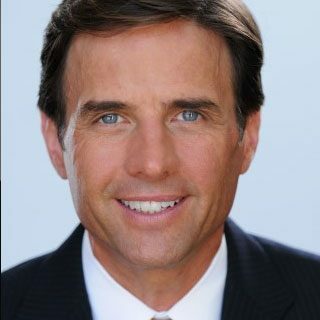 His dynamic presentation style consistently receives high praise, and his unparalleled insight into the real-life challenges and triumphs of aging and retirement is frequently featured in the media, including the New York Times, BusinessWeek, SmartMoney, and Financial Planning Magazine. Prior to joining Age Wave, Dan served on the board of directors and was Chief Marketing Officer and Senior Vice President of Strategic Planning at Bankers Life, a firm focused on meeting the financial-security needs of retirees. He began his career at McKinsey & Company, a leading management consulting firm, where he advised financial services and health care clients in the United States, Mexico, and throughout Europe. Dan earned a BS in Electrical Engineering from the University of Illinois, and an MBA from INSEAD, the international business school in Fontainebleau, France. He also earned a joint Gerontology certificate from the American Society on Aging and the University of Southern California’s Leonard Davis School of Gerontology. He resides in the San Francisco Bay Area with his wife and two daughters.